We represent people who have experienced serious, life-changing events caused by the negligence or wrongful acts of others, including defective automobiles, defective products, medical malpractice and wrongful terminations. Over the past ten years alone, we have obtained verdicts and settlements for our clients in excess of $100 million. The firm’s lawyers have worked diligently and tirelessly to improve the lives of their clients, those that truly need representation and that feel overwhelmed and alone. The firm has not only dedicated itself to leveling the playing field, but has taken on and defeated many of the largest institutions in the country, from hospitals, to insurance or securities companies – including their teams of lawyers, many of which were identified as some of the best in the United States. We represent people that are victims and that need help. We seek to obtain fair and just results for our clients. 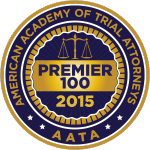 We fight big companies, hospitals and insurance carriers, and have, through hard work and sacrifice, established ourselves as nationally known trial attorneys. 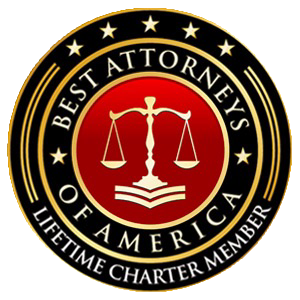 We have established a legacy of excellence and have an experienced team of attorneys, paralegals and support personnel. We provide our services to ordinary people who may have no money to devote to litigation. If we do not obtain a monetary award for our client, we charge nothing for our services. Archinaco is situated in Pittsburgh, PA. Our attorneys are licensed in several different states and have worked on cases across the nation, from the East to the West Coast. The firm’s cases and results have been reported on in numerous local and national newspapers and magazines. Jason has handled a wide variety of complex and cutting edge legal matters. Early in his career, he was involved in one of the first domain name squatting disputes. Mike was a law clerk and tip staff for the Honorable Ronald W. Folino before joining the firm as an associate. Mike is a double Duquesne University graduate.